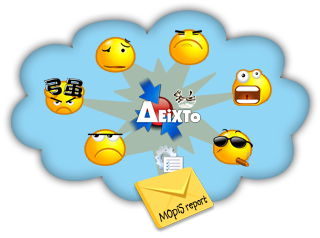 F. Kokkoras, E. Lampridou, K. Ntonas, I. Vlahavas, “MOpiS: a Multiple Opinion Summarizer“, in Proc. 5th Hellenic Conference on Artificial Intelligence, J. Darzentas et al. (Eds.) SETN 2008, Springer-Verlag Berlin Heidelberg, LNAI 5138, pp.110-122, Syros, October 2-4, 2008. You can try the algorithm in real time using the form below! It could take less or more time to get results, depending on the number of reviews. All review data is collected by DEiXTo in real-time and this is affected by network traffic. A delay of N/3 sec, where N is the number of reviews, is usual. Not sure what to do? Try the detailed help. Click this paragraph! First select a product category (either monitor or inkjet printer). We need this to determine which dictionary of important words to use (check the paper for the scientific details).Then enter the URL of a product page on newegg.com. For your convenience, we provide you with two pages on newegg.com, to select from; one with monitors and a second with inkjet printers. Do visit a page of a product with reviews, besides, you don’t need MOpiS if there are not many reviews, you can read them! Now copy its URL from your browser address bar and paste it on the form’s text box. You are done! Press the submit button and wait a little.